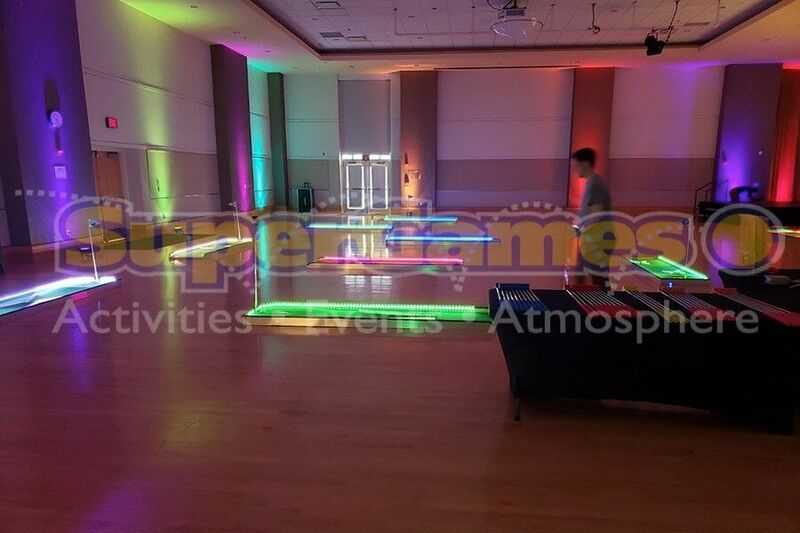 Brighten up your event in an exciting way! 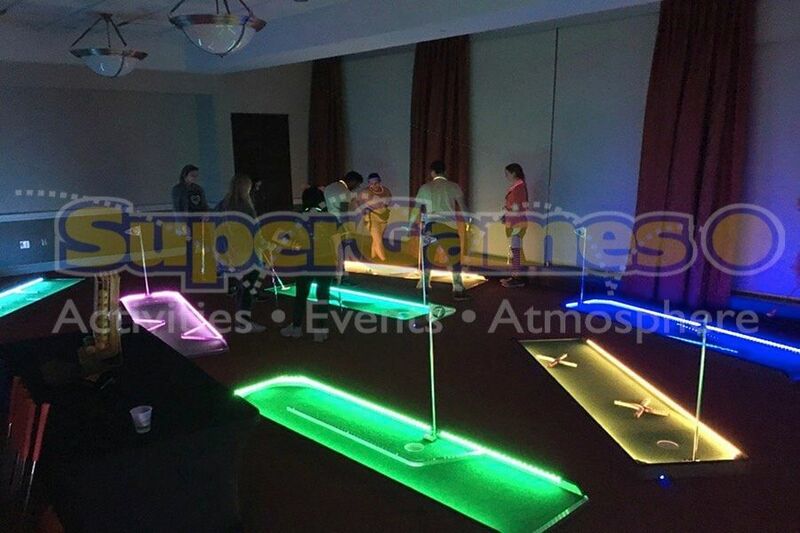 LED putt putt brings all the fun of miniture golf directly to your venue! Inside, or outside, all we need is a dark space to LIGHT it up! 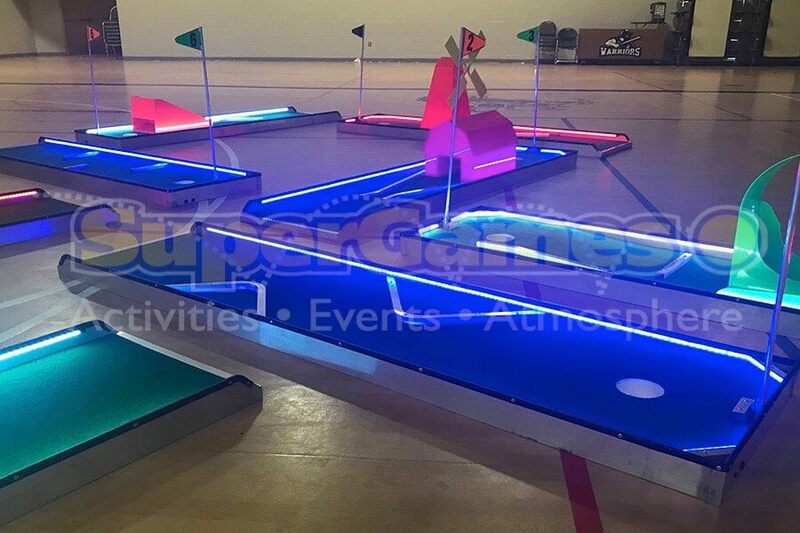 Extremely portable, this putt-putt course can fit in nearly any space. 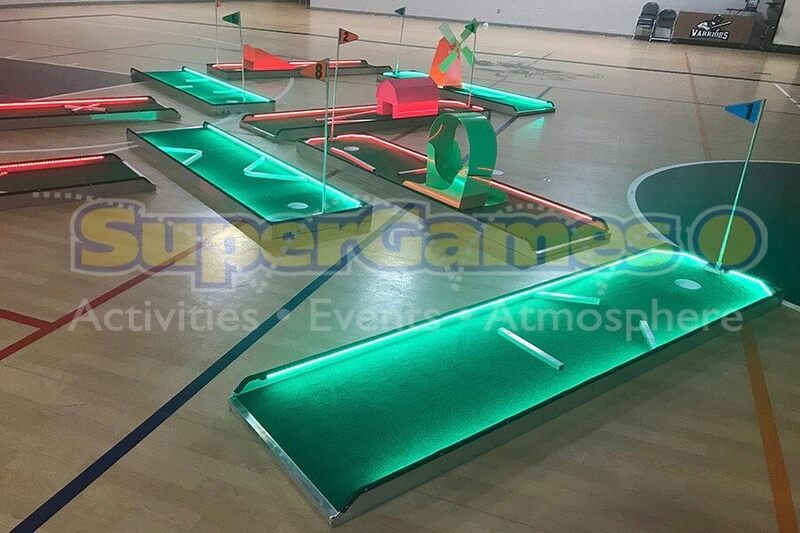 Package includes 9 holes, balls, putters and score cards!